Since 1974, WGN have helped businesses with their accountancy requirements. They came to us with the need for a new website, to reflect the new direction the business was taking. Their existing website was not mobile responsive, was dated, and did not represent WGN’s strength within the industry. We felt that before the website was built, WGN needed to refresh their branding. The board members were hesitant to do so, but after we presented to them they were happy to go ahead with a brand refresh. 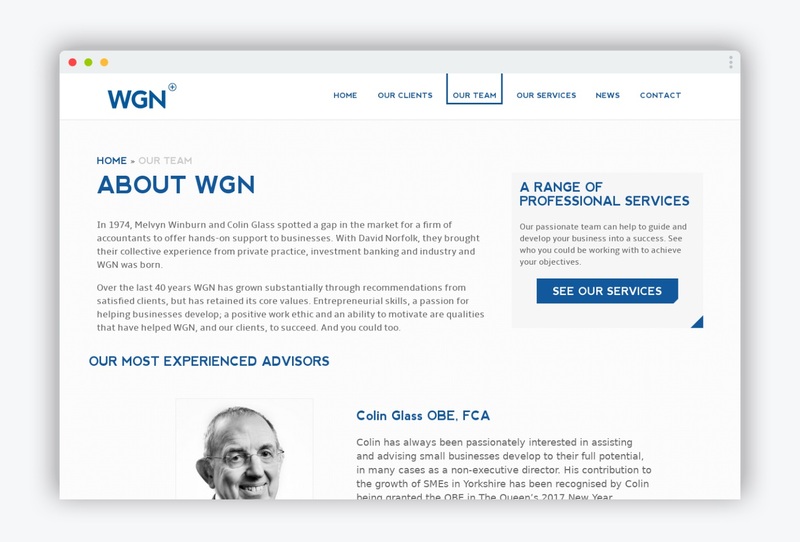 We created a brand that helped to position WGN as leaders in their industry. They needed a brand that reflected their move into business advisors as well as accountants, based on their years of experience. We made use of the colour blue, which in colour psychology represents trustworthiness and stability. We also incorporated a plus sign into the logo, to serve as a positive, recognisable brand mark. After approval of the new, refined brand identity, we began work on the website architecture which involved us simplifying the structure to help improve the user experience. The clean, modern design reflects the ethos of the company and aids with customer transparency. 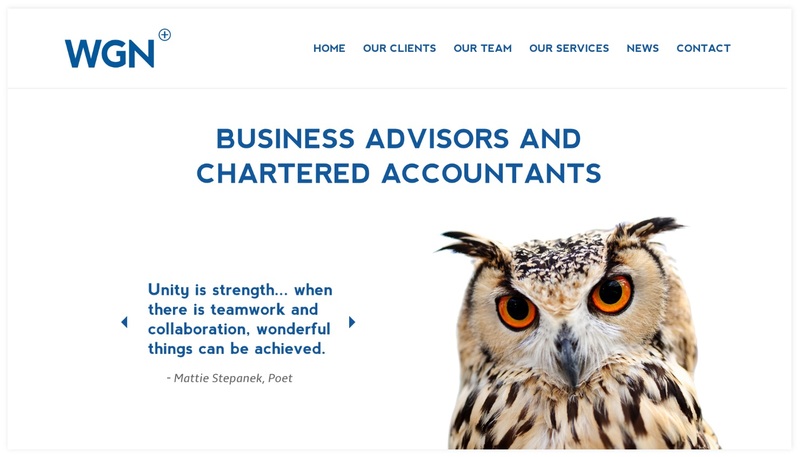 WGN wanted to emphasise their wisdom gained through years of experience in the industry, so an eye-catching image of an owl is used on the homepage to reflect this. The new brand refresh and website gave WGN the foundation that it needed for their future marketing. They were able to build on this, and maintain their position at the forefront of the industry.